Lloyd also tweeted the birth announcement. 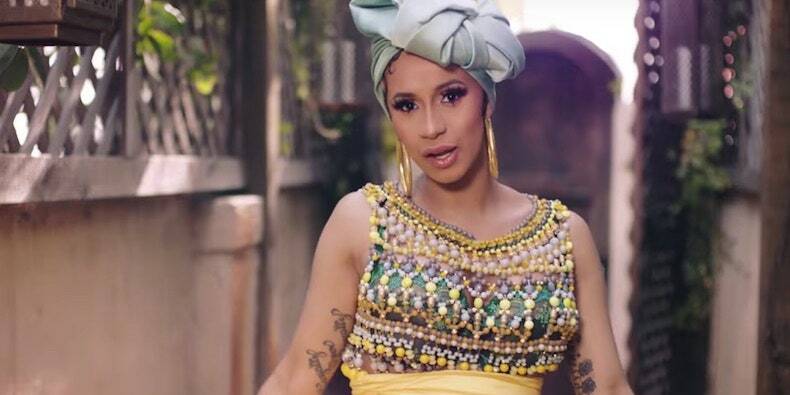 Cardi B, Bad Bunny, and J Balvin have shared the music video for their song “I Like It.” Watch the Eif Rivera-directed video below. Cardi recently joined Jennifer Lopez and DJ Khaled for their new song “Dinero.” She also hopped on Rita Ora’s “Girls” with Charli XCX and Bebe Rexha. Read “Why Cardi B’s No. 1 Matters” on the Pitch. Although fans still aren’t done telling her they love her, Demi Lovato has new tunes brewing. The «Sorry Not Sorry» singer revealed on Twitter early Monday (May 29) that the next taste of her to-be-announced seventh studio album could arrive shortly. Even with her recent smash collaborations with Luis Fonsi, Clean Bandit and Christina Aguilera, Lovato hinted that even more new singles from her are on the horizon. «Very VERY soon…. could be a matter of weeks actually,» Lovato continued. So are you officially done promoting singles off “TMYLM”?! South Korean President Moon Jae-in took a few minutes out of his very busy schedule to congratulate K-pop phenomenon BTS on the group’s first No. 1 album on the Billboard 200. On Monday (May 28), about two days after meeting with North Korean leader Kim Jong Un at a surprise summit to discuss peace, President Moon shared his excitement about BTS’ exciting accomplishment. BTS recently debuted at No. 1 on the Billboard 200 albums chart with its latest effort, Love Yourself: Tear. It’s the first No. 1 for the seven-member group, and the first K-pop album to lead the tally. Read Presient Moon’s full statement below. «Congratulations to the Seven Music-loving Boys and Their Wings, ‘ARMY’! The songs, dance, dreams and enthusiasm of BTS 방탄소년단 energized and gave strength to young people around the world. I congratulate BTS on topping the Billboard 200 with their album titled ‘Love Yourself 轉 Tear’. This is the first ever Korean album to claim the top spot, and also the first non-English album to do so in 12 years. The boy band extends its span on the chart to a record 22 years & six months. Backstreet Boys are back on Billboard‘s Pop Songs airplay chart, as «Don’t Go Breaking My Heart» debuts at No. 32 on the list dated June 2. The band earns its first entry on the ranking since 2007, when «Inconsolable» reached No. 34 that October. The Pop Songs chart, which began in 1992 (and in 2017 celebrated its 25th anniversary), measures total weekly plays, as tabulated by Nielsen Music, among its reporting panel of 158 mainstream top 40 stations. Backstreet Boys boast nine Pop Songs top 10s, including the No. 1s «I Want It That Way» (for two weeks in 1999) and «Show Me the Meaning of Being Lonely» (one week in 2000). The band also reached No. 2 with «Quit Playing Games (With My Heart)» in 1997 and No. 3 with «As Long as You Love Me» in 1998. The new single follows BSB’s last album, In a World Like This, which debuted and peaked at No. 5 on the Billboard 200, marking the group’s ninth top 10 (encompassing its entire output). The act has sold 31.3 million albums to date in the U.S., the 24th-best total among all artists since Nielsen Music began tracking sales in 1991. All charts will update on Billboard.com Wednesday (May 30). s its span of appearing on Pop Songs to a record 22 years and six months, narrowly passing Madonna’s stretch of 22 years and four months, from 1992 to 2015. The Chainsmokers have the dance-pop market sufficiently cornered, but the duo tried its hand at a more R&B-tinged sound with its recent single «Somebody,» featuring Drew Love from THEY. It’s a turn that works. Fans have listened to «Somebody» more than 36 million times on Spotify. Now, it’s time to give the tune a kick in the pants with a remix package. Fans get six remixes in total. It starts with an upbeat take from Riggi & Piros. A quick build leads to fast tempos and serious club vibes. The Bay area’s T-Massbrings a big boost of bass for his take, while Australian producer Naderi gives it a wobbly, interstellar groove. The duo’s fellow Angeleno Fluencee brings «Somebody» a futuristic shimmer, Sydney’s Sippy puts a hefty half-time beat to work, and Ruhde rounds it out with a sunset groove. «Somebody» currently sits at No. 8 on the Hot Dance/Electronic Songs chart. Give the song some new legs with one of these remixes below. As Nicki Minaj’s “Chun-Li” scoots 11-8 on the Mainstream R&B/Hip-Hop airplay chart dated May 26, the rapper secures her 30th top 10 entry on the list and ties Beyoncé for the most visits to the tier by a female artist in the chart’s history. “Chun-Li” rises with a 10 percent gain in plays in the week ending May 20, according to Nielsen Music. Among all acts, Minaj and Beyoncé now share the seventh-best top 10 total on the Mainstream R&B/Hip-Hop chart. Drake tops all acts with 58. Minaj first entered the region in 2010 via a featured role on Ludacris’ “My Chick Bad,” which reached No. 2 that May. Of her 30 top 10 successes, nine have climbed all the way to No. 1. That’s the third-best mark among women: Only Beyoncé (12) and Rihanna (10) claim more leaders. 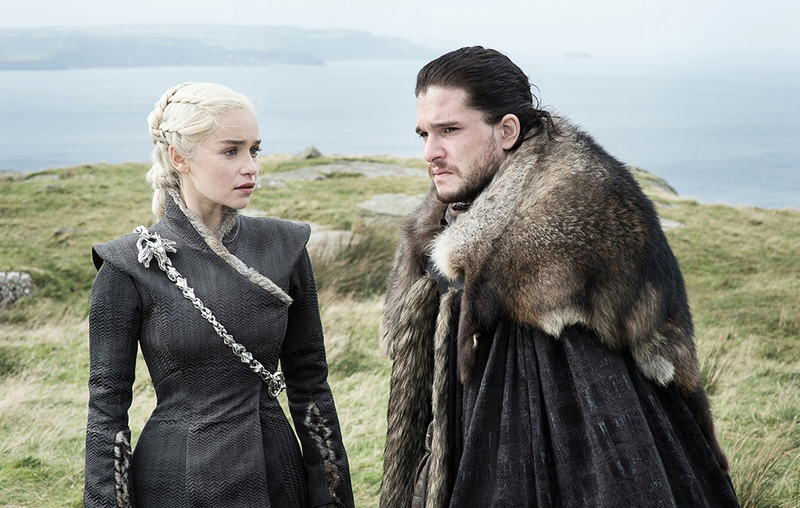 Game Of Thrones star Emilia Clarke has teased what her final filmed scenes as Daenerys Targaryen on Game Of Thrones will be like and her feelings about leaving the character. As Game Of Thrones approaches its final season, Clarke spoke to Vanity Fair revealing that although she has a little more filming to do, she has shot her “final on-screen moments” as Danerys. Read more: Here’s everything we know so far about Game Of Thrones season 8. Game Of Thrones will conclude with its eighth season, due to air in 2019. Star Maisie Williams recently said filming will end at the end of 2018. “We wrap in December and we air our first episode in April ,” she said. 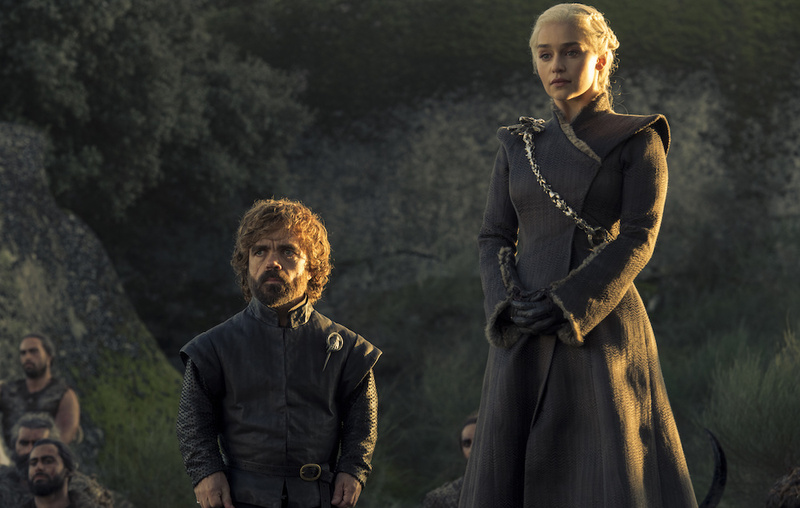 Meanwhile, a new study has used an algorithm to attempt to predict who will die (as well as those most likely to survive and conquer) in the final season of Game Of Thrones. Emilia Clarke can be seen playing a role in Solo: A Star Wars Story which is out today (May 25).